Fame/Flame FlowerDeciduous perennial. Pink to red, 5-8 petaled flowers atop leafless stems growing t..
Golden FeverfewDeciduous perennial. Striking bright yellow-green foliage grows in dense low mounds. ..
Fern Leaf Tansy or Gold ButtonsDeciduous perennial. Coarse, rather weedy garden plant. Finely divide.. Fringe CupsDeciduous perennial. Clump forming but spreading habit. Toothed, shallowly-lobed, rounded..
GermanderEvergreen perennial. Tough, pretty and long-lived. Small, glossy green leaves with deep pin..
Caucasian GermanderEvergreen perennial. Bright green, finely toothed leaves. Dense spikes of reddish..
GermanderEvergreen perennial. Narrow, silvery gray leaves form a mound. 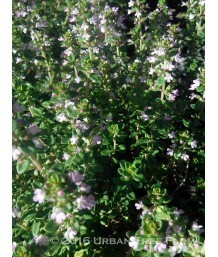 Almost continuous show of sm..
Mountain Germander GroundcoverEvergreen perennial. Narrow, green leaves form a mound. Small, creamy ..
Meadow RueDeciduous perennial. Foliage is fine-textured, bluish-green, pinnately compound, and resem..
False LupineDeciduous perennial. Rich green, elongated leaves. 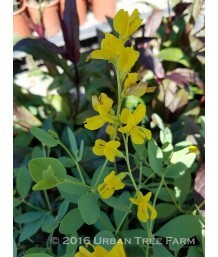 Spikes of bright yellow bell shaped f..
ThymeEvergreen perennial. Aromatic, grey-green leaves. Carpets of lavender-pink blooms in summer. Wo.. Lemon ThymeSemi-evergreen perennial. Lemon-scented green leaves with an edge of gold. Carpets of pal..
Variegated Lemon ThymeSemi-evergreen perennial. Lemon-scented green leaves with an edge of silver. C..
Golden Lemon ThymeSemi-evergreen perennial. Lemon-scented green leaves with an edge of gold. Carpets.. Lemon ThymeSemi-evergreen perennial. Lemon-scented green leaves with an edge of gold. Carpets of dee..
Lime ThymeSemi-evergreen perennial. Lemon-scented green leaves with an edge of gold. Carpets of pale..
Lime ThymeSemi-evergreen perennial. Lemon-scented deep green leaves. 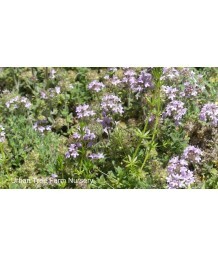 Carpets of pale pink blooms in ..
Woolly ThymeSemi-evergreen perennial. Aromatic, greyish-green leaves. Carpets of showy pink blooms i..
Pennsylvaia Dutch Tea ThymeSemi-evergreen perennial. Aromatic, lime-green leaves. Carpets of lavende..
Broad Leaf Varigated ThymeSemi-evergreen perennial. Aromatic, broad, variegated foliage. Carpets of ..
White Flowering Creeping ThymeEvergreen perennial. Aromatic, green leaves. Carpets of white blooms i.. Creeping ThymeEvergreen perennial. Aromatic, green leaves. Carpets of reddish-purple blooms in summe.. Creeping ThymeEvergreen perennial. Aromatic, green leaves. Carpets of lavender-pink blooms in summer.. Creeping ThymeEvergreen perennial. Aromatic, green leaves edged in cream. Carpets of pink blooms in .. Creeping ThymeEvergreen perennial. Aromatic, green leaves edged in cream. 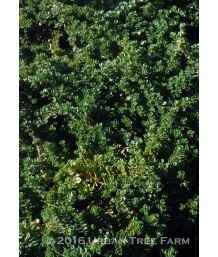 Carpets of salmon-pink blo..
Variegated ThymeEvergreen perennial. Aromatic, green leaves edged in silver. 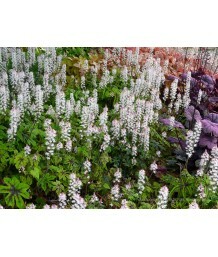 Carpets of lilac blooms..
Variegated ThymeEvergreen perennial. Aromatic, green leaves edged in white. 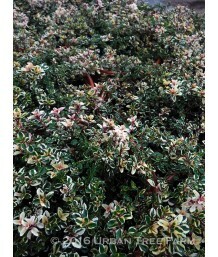 Carpets of pink blooms i..
Variegated ThymeEvergreen perennial. 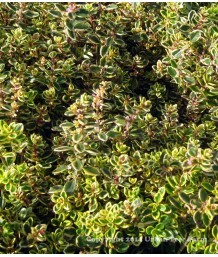 Aromatic, grey-green leaves edged in white. Carpets of lavender.. Foam Flower/Sugar-ScoopEvergreen perennial. Spreads from rhizomes. 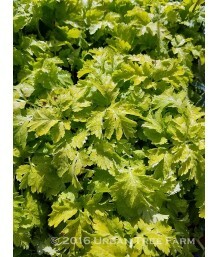 Deeply lobed leaves are bright gr..
California Piggyback PlantSemi-evergreen perennial. California native hybrid. Suitable for semi-aqua..
SpiderwortDeciduous perennial. Clump-forming border plant with long grassy-looking, deep green, erec..
Toad LilyDeciduous perennial. Small, soft, fleshy green leaves. Lavender-blue flowers with cream-whi..
Toad LilyDeciduous perennial. Small, soft, fleshy green leaves. White flowers with yellow and purple..
Toad LilyDeciduous perennial. 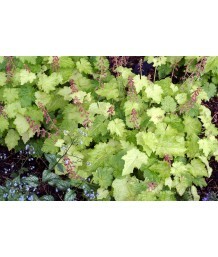 Small, soft, fleshy green leaves with creamy-yellow edging. White flow..
Toad LilyDeciduous perennial. Large and long green leaves with creamy variegated margins. Unique pur..
Toad LilyDeciduous perennial. Large and long green leaves grow densely. Unique white lily-like flowe..
Toad LilyDeciduous perennial. Small, soft, fleshy green leaves with cream edging. White flowers with..
CloverDeciduous perennial. Groundcover. 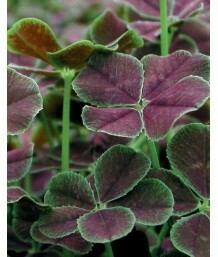 Small clover-like leaves are dark purple with green edging. ..
Triplet Lily/Star FlowerDeciduous perennial. Grow from bulbs. Strappy, green, basal leaves make an o..
Flame FreesiaDeciduous perennial. Grow from bulbs. Narrow fans of flattened green leaves in fall fol..